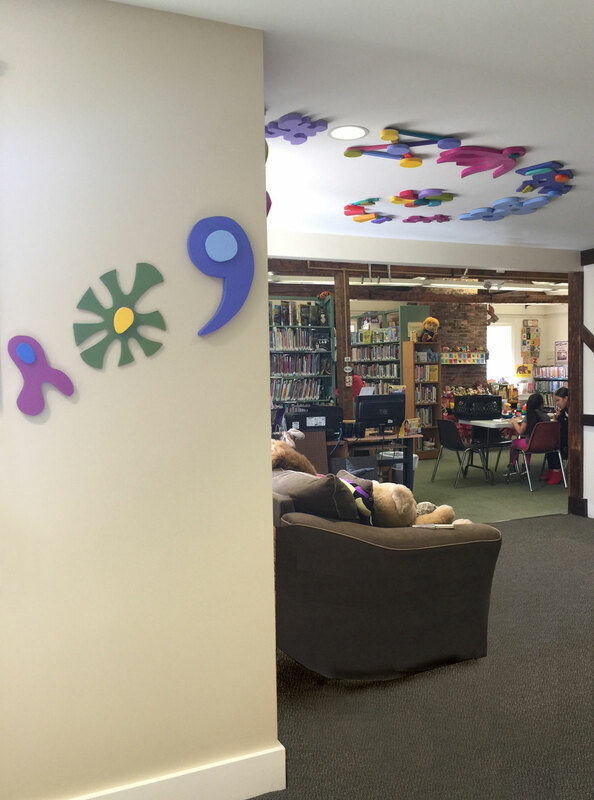 Blauvelt Public Library - Website of tomnussbaum! 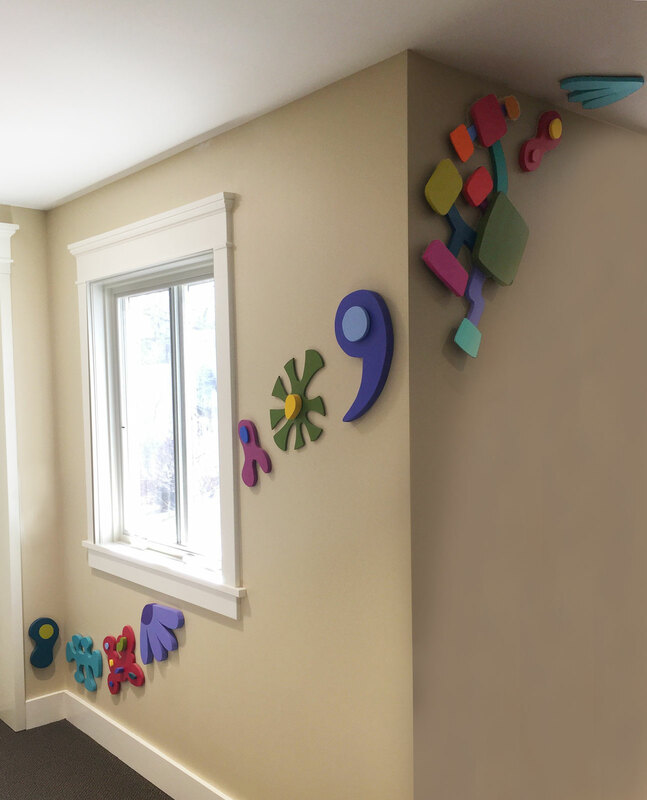 Acrylic on medium density fiberboard. 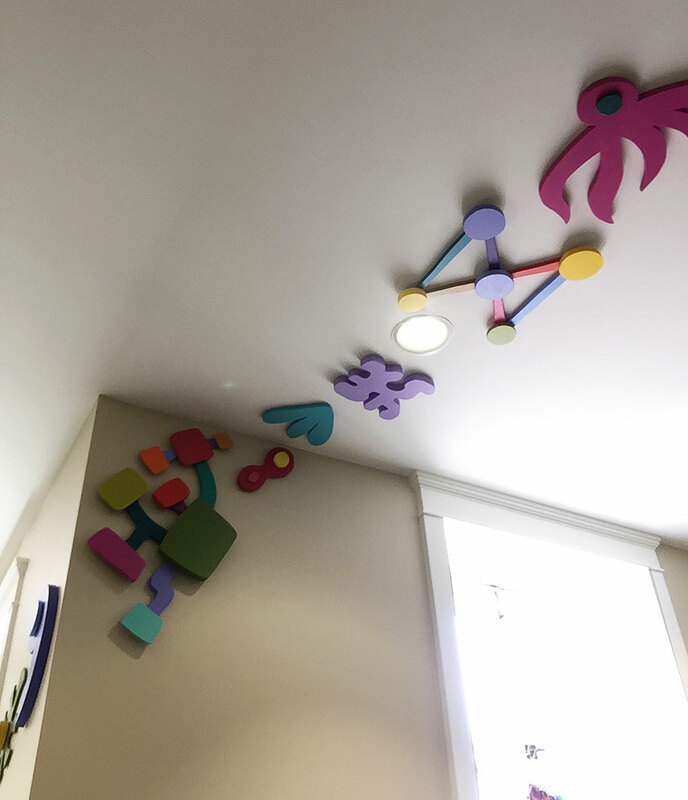 This project was designed to be a way-finding system to guide children from the ground floor of the main library up to the Children's collection. 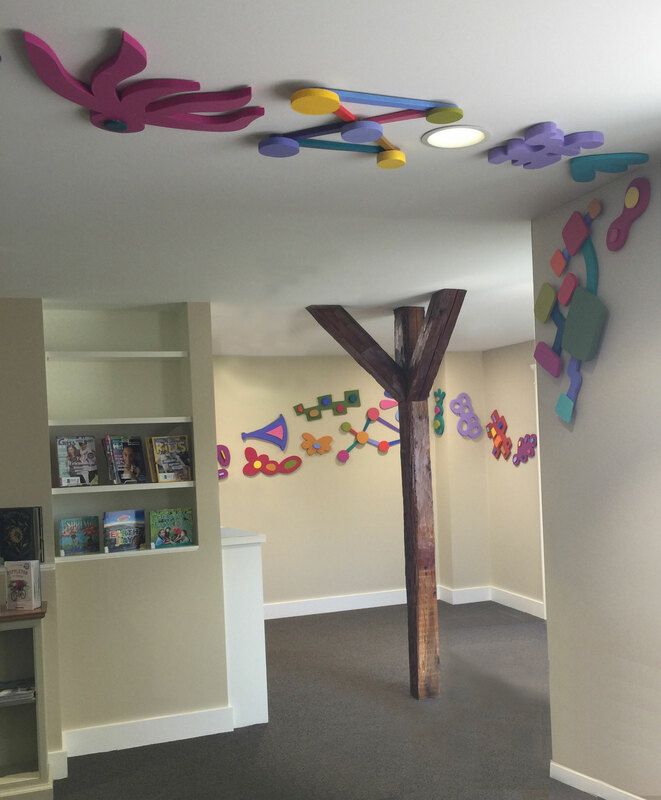 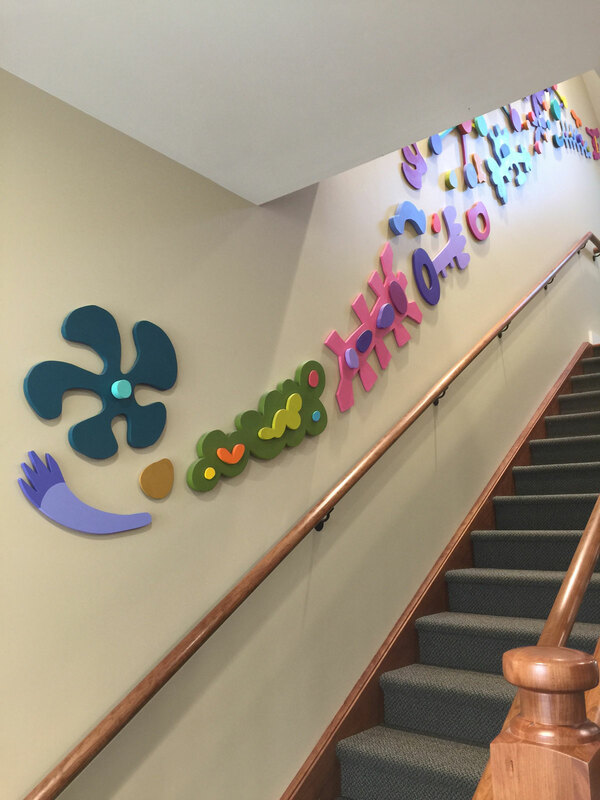 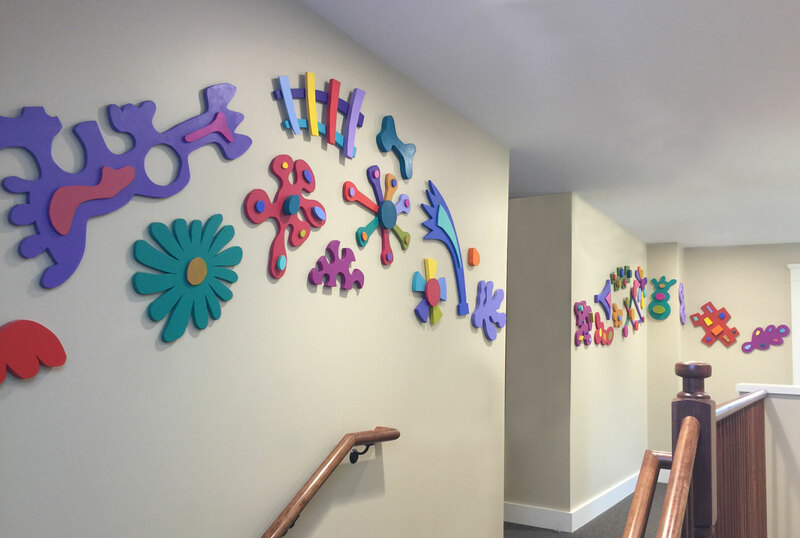 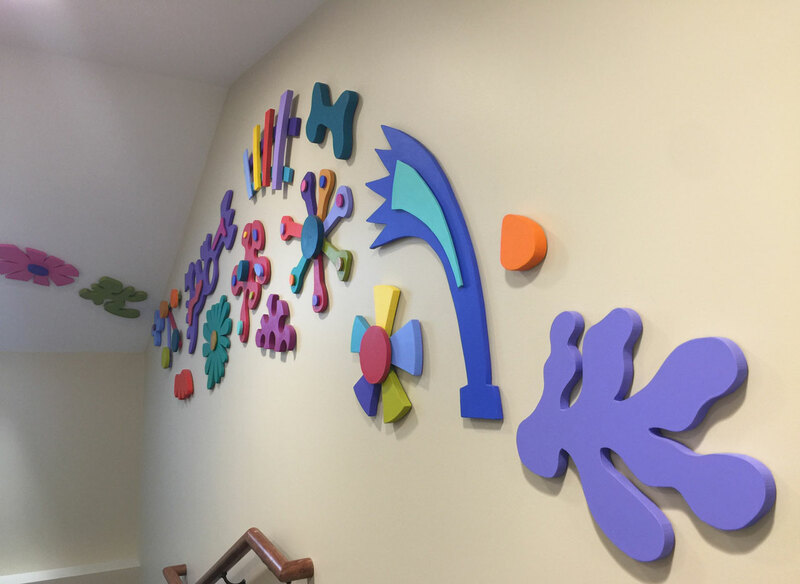 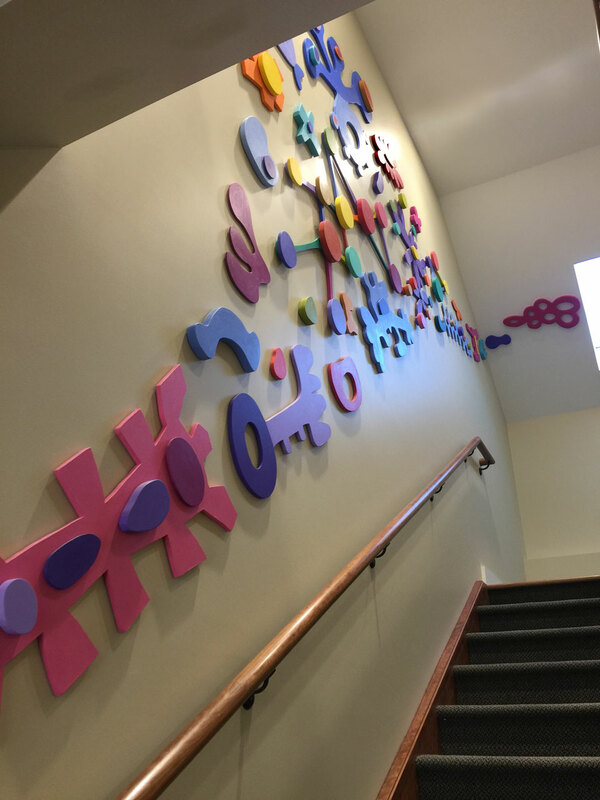 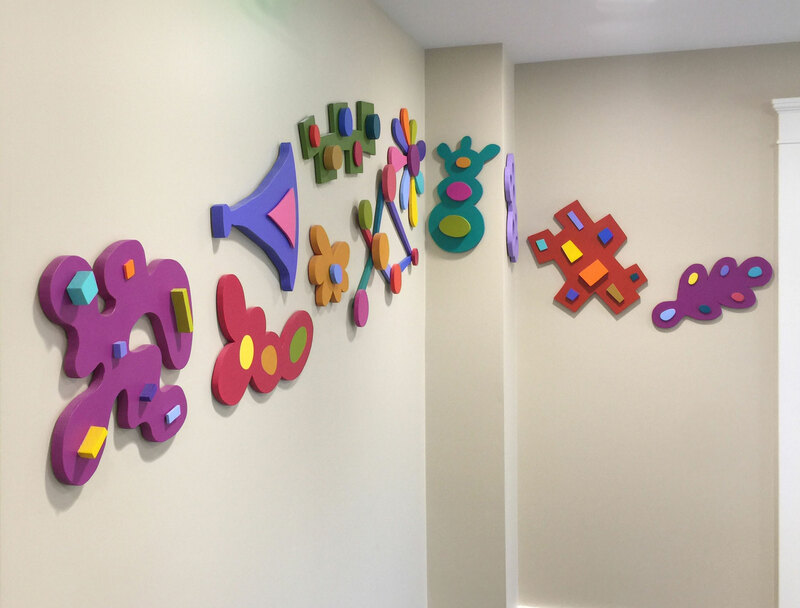 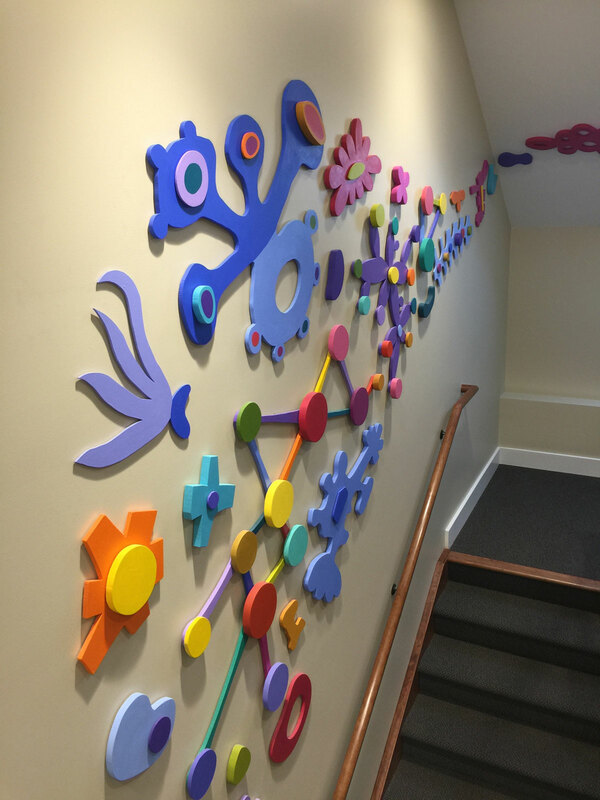 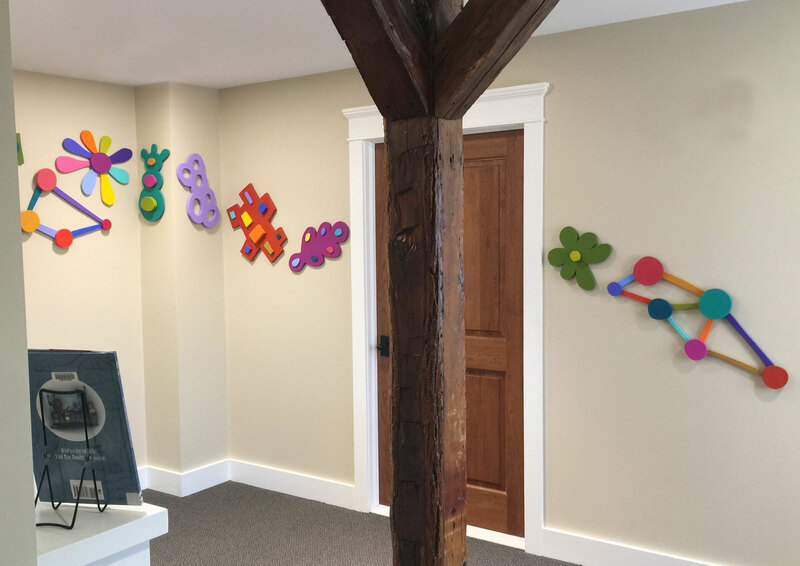 The artwork winds it's way through the building to the children's area. 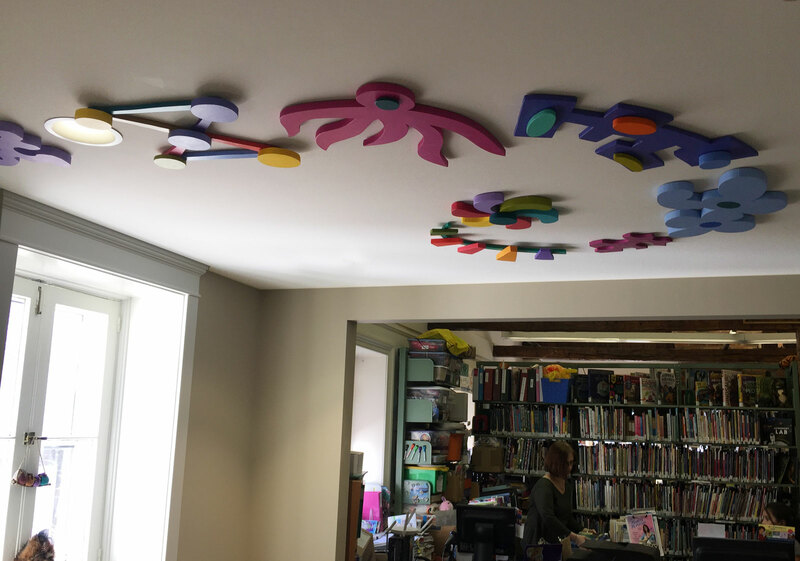 The title refers to the Dutch colonial building that houses the library.